I have received many questions by women on how corsets may affect the uterus, birth canal and other parts of the reproductive system, so I’ve compiled the most popular questions and answers here. Will my uterus be compressed or fall out by wearing a corset? Anything that creates pressure on the organs, including heavy lifting and straining when having a bowel movement. Can wearing a corset decrease your chances of conceiving a child? There is a large misconception about corsets “squeezing out” fetuses and as a result, it was thought to believe that many corseted ladies would not be able to become pregnant. In truth, there is no proof that corsets cause infertility. Many women in the 18th and 19th centuries managed to conceive 10-15 times (or more!) easily within their lifetime. Of course, miscarriage and stillbirth statistics were much more prevalent than they are now, but when you factor in less access to medical care, no prenatal screening, poorer nutrition overall (consider the fact that shipment of fresh produce was largely impractical until airplanes were used), not to mention lack of education in terms of drug/alcohol abuse during pregnancy, there is no way to prove that corsets are to blame for not being able to conceive. The largest culprit of illness or death among new mothers in the 19th century was “childbed fever”, an infection of the still blood-rich womb, due to the lack of sanitation (germ theory was not widely accepted until the late 1880’s), not due to corsets. Can you corset when you’re pregnant? Victorian women were always corseted, even during pregnancy. It was considered indecent to go out without a corset at any time in one’s adult life (consider the fact that the corset also served as bust support before the modern bra was invented). However, pregnant women used specialized maternity corsets that had laced panels which expanded as their bellies grew. Ultimately these corsets were not used for waist reduction nor to achieve an hourglass shape, but rather they were used for support for the back and core, as 24/7 corseting since late childhood often caused weakening of wearer’s back and created dependence on the corset. Today, it’s true that in the first trimester you don’t tend to show a baby bump, and many women can still do crunches and sit-ups without harming the fetus. Many women in the Victorian era still laced with their normal corsets in their first trimester of pregnancy, but I still strongly recommend not wearing a corset at any point during pregnancy. Just as any responsible woman would immediately stop drinking and smoking once she discovered she’s pregnant, a woman of today should immediately remove the corset upon realizing she’s pregnant. If you are pregnant and find you have a weak core or experience back pain, back support still exists in the form of more flexible maternity support belts or “belly bands” which won’t harm the baby. What causes belly pooch after childbirth? After the baby is born, when the mother is nursing her newborn baby, release of the hormone oxytocin makes a woman’s mammary glands contract to help the milk flow (called “let-down” reflex), and the uterus contracts in response to the oxytocin in order to shrink down close to its original size and improve muscle tone (which is why new mothers may nurse their newborn babies and experience pelvic cramps). Along with this process, the other organs more or less move back into the position they held before pregnancy. (A woman’s organs never fully goes back to the way they were before their first pregnancy, but the body tries as much as it can). Many women of the past wear compression gear to help their organs move back into position. Although compression gear is not necessary, it can help quicken the process. In fact it’s nothing new. Civilizations have been using it for centuries before tightlacing corsets appeared in the west. The Mayan women in central America bound their torsos after childbirth. In Spanish this is still called a “faja” which literally translates to “strip of fabric” or “belt” (wound around the body many times to achieve the compression) but now the term is used for any corset or cincher. In South India during Bananthana (or post-partum) there is a strict protocol including belly binding to put the uterus and intestines back into place, keep the body warm, and help purge the “bad blood” accumulated during pregnancy. Japanese women wore an obi (“sash”) most of the time, which was a piece of cloth about 1 foot wide by several meters long tightly bound around and around and around the torso. Later in pregnancy, many of these women switched to a sarashi which is again a long strip of cloth that binds the midriff and also the chest. I want to wear a corset after childbirth. How do I know if it’s right for me? Check with your doctor before wearing compression gear after labour. Your doctor may or may not recommend compression gear for you, depending on your size, your level of health, the difficulty of your delivery (and/or whether any damage to your pelvis occurred during childbirth). The largest factor is whether you delivered naturally or by caesarean, as a natural delivery can increase the risk of prolapse, but caesarian involved cutting into your abdominal wall which can be painful or nonconducive to healing if you put too much pressure on it. However, if you get the go-ahead from your doctor to use compression gear to hasten the process of recovery after childbirth, it should be okay to lace down lightly (2 inches or so) in a well-fitted corset. Next time, I’ll share with you the common skin issues that may arise when you waist train on a regular basis. Can wearing a corset cause reversal tubal ligation? Hi Cynthia, there’s never been any studies on how often tubal ligation fails in corset wearers vs non-corset wearers. Usually the majority of concerns I get are the opposite (will they still be able to become pregnant if they wear a corset). If you have the type of operation that has cut the fallopian tube so your ovary is separate from your uterus, I don’t see a way that wearing a corset (or anything else for that matter) could reverse it after it’s healed, barring having another surgery specifically to try and reverse that. But using clips or ties, I know that has a higher chance of failure or reversal in general. If it’s something you’re really concerned about, I’d recommend talking to your doctor about it. Since I started wearing my corset, I’ve recently noticed spotting. The spotting is darker but quite constant. I have not experienced this before and wanted to know if you have heard similar situations of other woman that can show the corset might be causing this? Hi Jessica, spotting is definitely not normal – the only time I experienced spotting was when I was circuit training too intensely, and when the birth control pill caused breakthrough bleeding (I stopped using this brand), but I haven’t had spotting from corsets. If you think your corset is causing you to spot, I would stop wearing the corset right away, and it would also be good to mention the spotting next time you see your doctor or OBGYN. They would be able to feel or scan if you might have any lumps in your uterus, or schedule a blood test for any changes in your hormone levels. Hi Bernice, uterine fibroids are caused by hormones, and they’re also usually genetic / hereditary. A little pressure on the abdomen shouldn’t cause fibroids, otherwise almost all corset wearers and all mothers should have fibroids, but they don’t! Fibroids can pop up later in adulthood from stress (change in hormones) and many people find that even changes in diet can cause them to be either bigger/ more painful or smaller/ less painful. But if you have been diagnosed with big fibroids, you might not find corsets to be that comfortable unfortunately, because they are extra mass taking up space in your body that’s pushing back against the compression of a corset, and those fibroids don’t like pressure. So I guess I have a question about wearing a corset while pregnant or possibly pregnant. I’ve read a lot about corsets and how they affect the body and everything, but I can’t seem to find an “actual” or.. specific answer to how wearing a corset would affect a child as it is forming in the womb. Would a corset actually kill a child, or what exactly could a corset do to a child still forming in the womb? Hi Anon – there haven’t been any peer-reviewed medical studies on what exactly happens when a fetus is growing in a compressed area (completely unsurprising, as that would be wildly unethical and would never pass the proposal stage) so it’s difficult to say for sure. Some mothers today have admitted to me that they wore corsets through the first trimester of their pregnancy (unknowingly, as their pregnancies were unplanned) but they had no problems, as the fetus is still tiny and protected by the amniotic fluid for the first few months (the uterus acts like a water balloon) – although I still don’t recommend wearing a corset at all if one suspect they’re pregnant. Why take an unnecessary risk? I’m not a doctor, but here’s my take: corsets compress soft tissue but they’re designed to not place much pressure on the bones (especially the hip bones), however a growing fetus has no bone in the early stages, and around month 3 it begins to develop some soft cartilage which is easy to bend (think of your ears or nose) which then later gets gradually replaced with harder bone. My concern is that the fetus would be subjected to high pressure while the skeleton is beginning to form, and may bend the cartilage leading to malformed bones. The extent of possible damage would depend on how tight the corset is, where most of the compression is placed, how far along they are in their pregnancy, whether the mother is carrying high or low, and even how much amniotic fluid they have. But again, studying this in real practice would be against the code of ethics in medical research, so we will probably never have a real answer (and I’m okay with that). I have a question about my lower tummy, it’s basically a shelf. I have a ridiculously long torso. The corset I bought is a cs-426 longline from orchard corset. It has a 13.5″ front center. The problem in having with it is when I wear it my tummy gets pushed out beneath the corset. I’m 6 months postpartum with twins and had a c-section. My tummy is still in the odd half numb stage and it causes a lot of discomfort to my tummy and scar. Do you have any recommendations of what corset or brand might work better for me? Hi Chelsie, unfortunately I don’t know of many corset brands that make longer OTR corsets – normally if a person needs an underbust corset of about 15″ or longer, it’s unfortunately time to go custom! There was one brand (“hot corsets”) that did have a longer corset, but last time I visited their site, I think it was taken down (I was given a malware warning). If I come across any other corset brand that sells longer ones, I’ll certainly let you know! In the meantime, maybe one of the Titanic Era corsets might interest you because they are made longer than usual. I am currently trying to have a baby and I wanted to know if waist tranning can affect my chance of becoming pregnant??? Please reply thanks Lucy! Hi Sara, I know dozens of women who have had no problem conceiving a child even though they wear corsets regularly – however, if you’re actively trying to get pregnant then I would not recommend wearing a corset. It’s not advised to waist train if you think you might be pregnant, even very early on, because the most crucial part of the baby’s development is in the first 2 months. Hi, I’m hardly close to being overweight and I’ve started wearing corsets and cinchers. I’ve been easing myself into corsets very slowly, I’ve worked my way up to wearing a cincher for my whole day (18 hours) and if I’m in the mood I’ll wear my corset for the day (8 hours). To the point: it’s been two full months since I started and I’ve noticed an incredible hormone imbalance emerge. Nothing else in my lifestyle has changed except the corsets and cinchers. Could they be to blame? I understand you’re not a medical doctor but I was just wondering if you’ve heard of anyone else having similar problems. Hi Alexis, I haven’t heard of anything like that happening. I’m not a doctor but I know that hormone feedback systems are incredibly complicated and are not only driven by the ovaries, but by the hypothalamus, pituitary, and adrenals as well. I would definitely get a referral to see an endocrinologist though. Hi Lucy, I saw your YouTube videos and got inspired to buy my first corset. 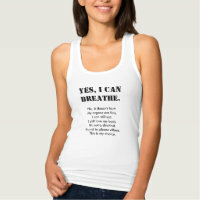 I want to know if it is safe to wear it during the monthly menstruation. God Bless. Hello Caroline, yes it’s generally safe to wear a corset during menstruation. Some people find that wearing a longline corset helps put pressure on the lower abdomen which can help dull the cramps. Some others may experience that their flow is a little faster though, so be sure to have backup tampons or pads just in case! Hi Lucy, after having 2 children I have the lower belly pooch. I’ve been wearing a long under bust corset in size 28. I’d like to start wearing a waist cincher as it provides more mobility however, I am worried about my belly hanging out. Would you recommend I get a cincher? Hi Mai, if you have a protruding lower tummy, I’d recommend staying with a longline corset. If you wear a cincher, there’s a possibility that your tummy will spill out the bottom edge of the corset. If you feel that your longline corset is too long for you, there are petite longlines (like Isabella’s Petite Josephine underbust) or you can have a corset altered for you to be cut shorter. Will the shape of one’s new body hinder pregnancy and childbirth? I guess I’m asking if pregnancy is difficult after wearing a corset because of the moving of organs and the ribs. It technically shouldn’t, Courtney – once the corset comes off for those 9 months, your organs will accommodate that growing baby and move once more. Babies will also often push out the ribcage and widen the pelvis, even in women who have never worn a corset before. The body is designed to accommodate this and releases the hormone Relaxin to help your bones move more easily. Remember that some women in the 19th century gave birth to 10 or more babies, and they were corseted the rest of the time – so their ability to give birth was certainly not hindered by wearing a corset. However if you’re concerned, you could always talk to your trusted doctor/ OBGYN about it. I just wish I had known, when I was younger, that corsets often relieve severe menstrual cramps! I would have spent a lot less time in bed with a heating pad. I have ovarian cysts too, I go Monday to talk to the doctor about it, I assume I am much older then you are Damita, (I’m going on 45) and I will report back, after my appt. I need to get the green light from the Oby Gyn and then I’ll know if I can continue wearing my new (CS-411) from Orchard Corset. I am seasoning it so its not giving me a lot of waist reduction, pretty much none or one or two inches at most when I tighten it after the first 30 minutes during my 2 hour wearing sessions to break it in. But my back feels amazing, I think they’ll be fine with it, my regular doc is fine with it. But with having female issues and possibly facing a hysterectomy at some point in the future, I know that I might be told I have to wait and just NOT cinch down, as I am in the first week of seasoning my corset, I am sure that I’ll be told it’s fine to wear it as I have been, unless they tell me I need the surgery sooner rather than later. 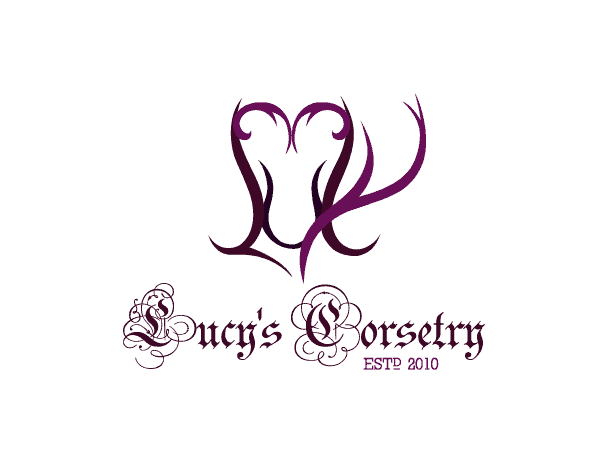 I want to thank you Lucy for all the work you put into your blog and your channel, you’re delightful to listen to and a large part of your appeal, I think is that you’re so knowledgeable about corsetry and are able to present information in a passionate, and moving manner. I first wore a corset at 15, but never got serious until recently. I decided to get a corset for the pain in my back and sides. I settled on the (CS-411) in a 38″ as I am a 46″ and am glad I did, because I don’t think I am long enough for the (CS-426). The (CS-411) is a great comfort to me already. Someday I hope to save up for a custom corset maybe even by Fran like that gorgeous summer mesh one you’ve had made. I will definitely share my results with you as I progress down my journey in corseting. I am grateful to have good company with me on the journey, as I feel like I’ve joined a wonderful community of people who share the mutual interest in corseting that I have. I really appreciate the time you take in updating your channel and your blog. I truly respect your opinion and admire your poise, you’re a classy lady Lucy. Thank you so much for your kind words, Pamela, I truly appreciate your kindness and your feedback. I hope your chat with your doctor went alright, do let us know if you have any updates. Best wishes and happy corseting! Hello, I am a plus size girl who recently discovered the benefits of corsetting. I understand the imprtance of it especially since I am having back ache problems dues to alot of fat on my breasts and genereally. So I was really interested in trying out the CS426 corset from Orchard Corsets as my first corset. However, I do have a problem with my ovaries. I have ovarian cysts in my ovaries but they are small. I wanted to know, that by wearing corsets, is there a risk involved to my ovaries when I am wearing a longline corset? I decided to go with a longline corset because I have a hanging belly and it is this belly that causes me pain in my lower abdomen. I thought b y using a long line corset and by pulling my belly up, I would minimise the risk, help me in my weight loss and put me on track to become a better version of myself. I know I need to consult my gyne about my ovaries, but you see, the I need to know ans understand where does the corset (underbust ones) sits mainly on and their target area. Does it affect my uterus or ovaries in any manner? Thank you very much and God Bless. Hi Damita, thanks for your comment. I’m not a doctor so I’m hesitant to tell you whether you would be allowed to wear a corset or not with your ovarian cysts. A corset is technically supposed to put direct pressure on the upper waist and simply hold and support the lower abdomen, but the extra intra-abdominal pressure may be uncomfortable for you – the corset pushes on the waist, which pushes down the intestines, which may push on the uterus. In the case of menstrual cramping etc, the extra pressure can actually help relieve pain, but unfortunately I don’t know the effects of extra pressure on ovarian cysts and I’d definitely recommend you ask your gynecologist/OB when you go visit. Can I use a corset while breastfeeding ? Hi Priscilla, I’m nulliparous so can’t answer you from personal experience, but from what other women have told me, it’s possible to wear an underbust corset (paired with your nursing bra) while breastfeeding. However, you may need to prop up your elbow/ the baby with pillows to get the right position, because the corset prevents you from being able to lean in towards the baby.